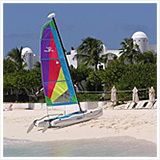 Sailing is deeply weaved into the fabric of Anguilla. 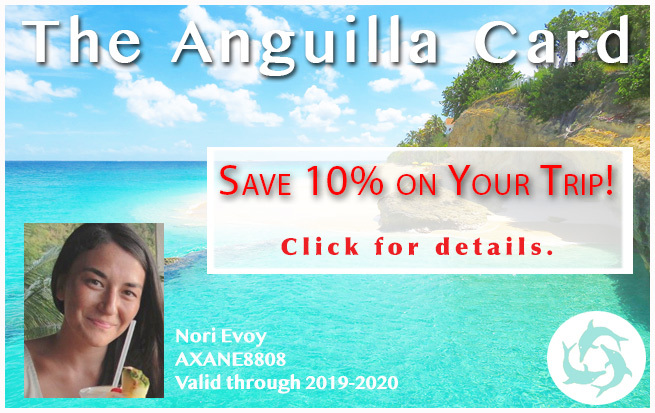 It's the island's national sport and a key aspect to the island's biggest holidays (ex., Carnival, Anguilla Day, Easter Monday). 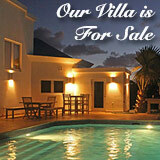 Considering that Anguilla is surrounded by the sea, it makes perfect sense to spend plenty of time on it. That is how I have always felt too, even though I come from a rather land-locked province in Canada. 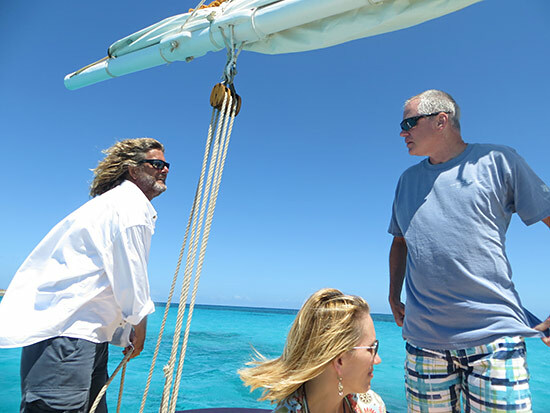 A vacation in Anguilla never feels really complete, or extra special, until you've spent an afternoon cruising on its crystal clear seas. Anchored on Road Bay in Sandy Ground, Tradition is truly beautiful. 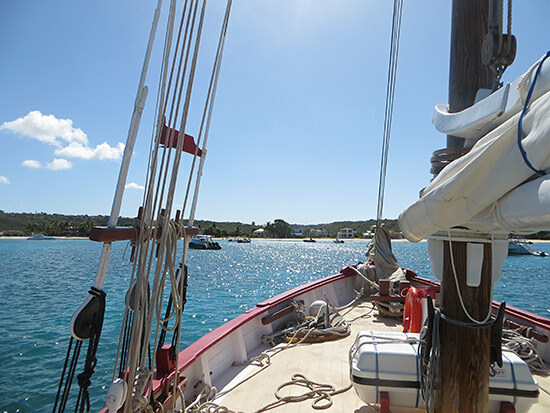 True to her name, she is a 50' Carriacou sloop built in 1978, a classic sailboat, a "gaff rigged West Indian sloop" as owner Laurie Gumbs says. To me, she is perfect. Historic, she is an authentic beauty. 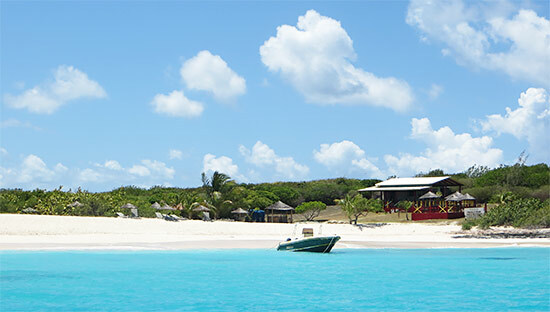 Tradition is no stranger to the waters surrounding Anguilla. Back in the day she was used as a cargo boat. 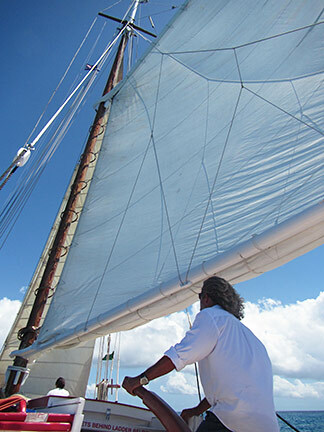 Sailing up and down the Leeward and Windward Islands between St. Barths and Grenada (her home), she transported cigarettes, spices, rums and anything else that people needed to have sent between the islands. 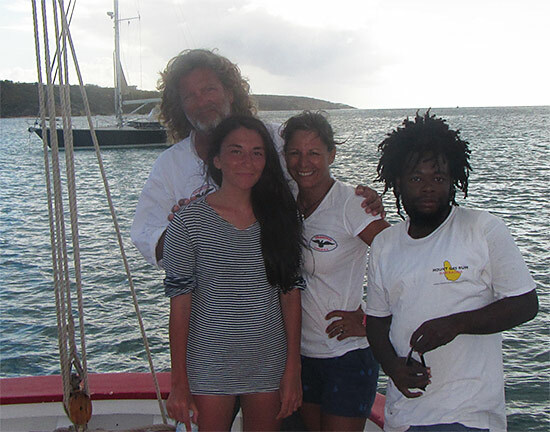 Laurie Gumbs and Deborah Vos have several of their own, having sailed her to St. Barths, Antigua, Montserrat, and even down to her home in Carriacou, Grenada. She has seen all corners of the Caribbean it would seem, cut through high seas and survived many an adventure. Painted red with white trim, her all wood structure creates an especially classic feel. She is a dream! Although not designed to be a charter boat, an afternoon on her is delightful. Her deck is wide and open, with plenty of space. And, being able to be part of her adventures is truly special. Tradition is owned by Laurie Gumbs. 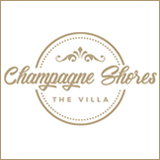 He is Anguillian born and bred, and the owner of the famous and ever popular bar in Sandy Ground, The Pumphouse. 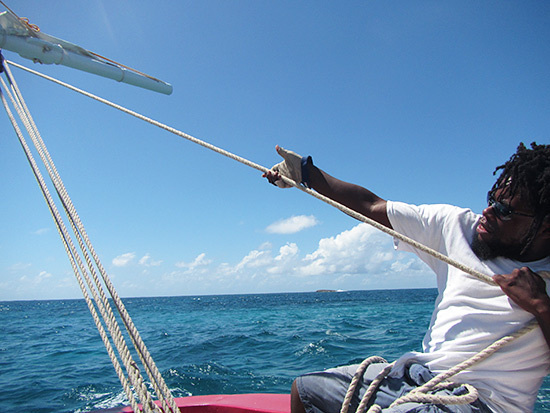 When aboard Tradition Sailing Charters, he is your Captain for the day. 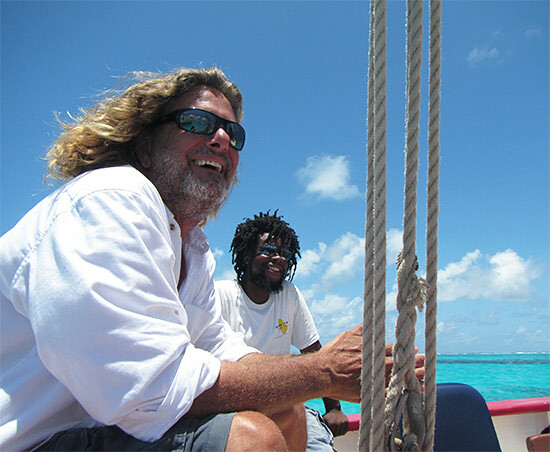 An experienced sailor with a watchful eye and serious concern for safety, yet with a warm, fun, relaxed personality, he is the ultimate Captain. At his side is Deborah Vos. We all call her "Deb" and to say it simply, she is the coolest. 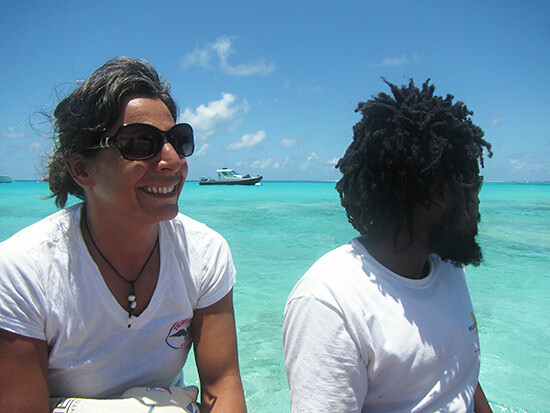 Originally from Canada, I met Deb on the Picton Castle when it was anchored in Anguilla. It is a three masted tall ship out of Nova Scotia that does a year long circumnavigation. She has real experience sailing in the roughest of conditions. Knowing that, I always feel so safe when she is on board. 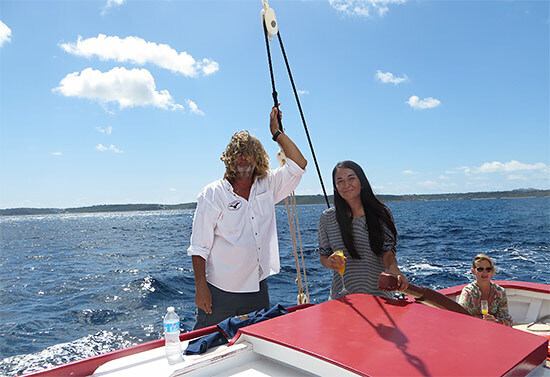 Beyond her experience on the water, she has spent a lot of time in the hospitality industry. She is so attentive and does everything and anything to make your day absolutely indulgent. She is a wonderful host! 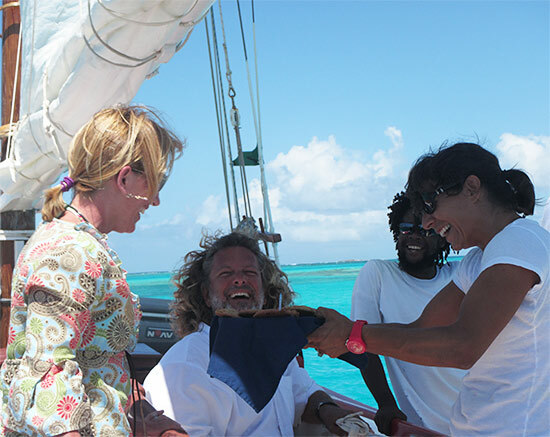 Together, Laurie and Deb operate a most comfortable and laid-back charter on a unique boat, one that is reminiscent of the Caribbean of yester-year. The boat is equipped for 12 people maximum. 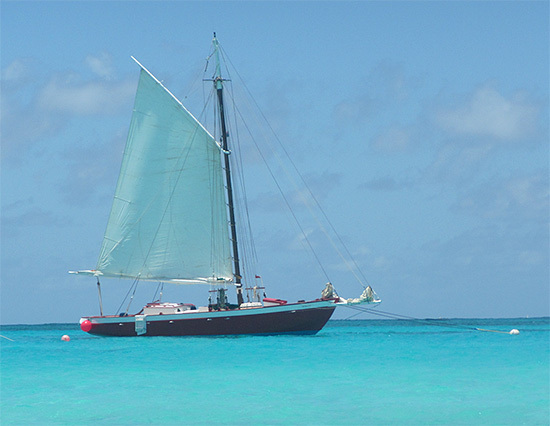 This sailboat's spaciousness will never make 12 feel crowded. We met at the wharf in Sandy Ground at 9am and were out to sea by 9:30am. Before casting off, Deb offered us "Morning Mimosas." 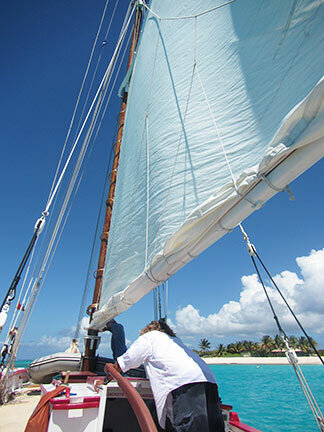 As we sipped our drinks and took in the surrounding beauty of Sandy Ground, Deb and Laurie prepared the sailboat. The work and strength that goes into it is incredible! Scroll down for a video clip. Raising the sails, we were getting ready for our day at sea. 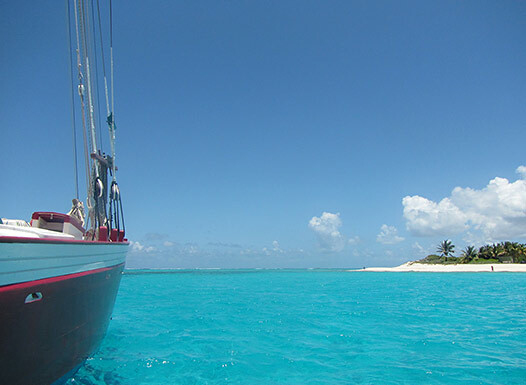 The plan for the day was to do a nice, easy sail to Anguilla's outer island, Prickly Pear. There, we would have lunch, snorkel and swim. Then, we would head for home. As we got ready to leave, Laurie gave us a safety briefing. Looking up at the sail, that sight was simply beautiful. Once outside of the harbor, we moved quickly, the wind carrying us. 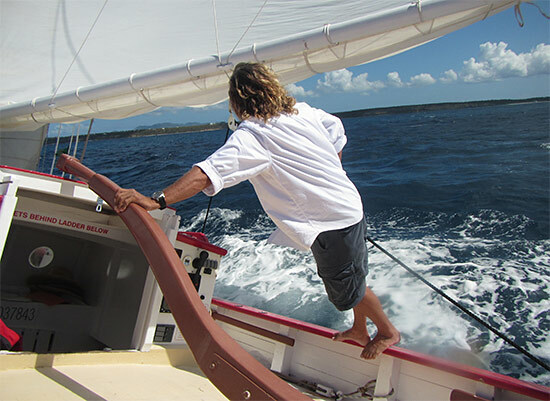 It's a liberating feeling skimming along the ocean, powered by nothing other than the wind. 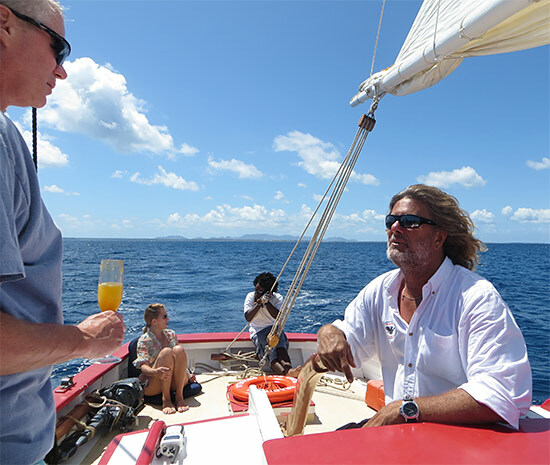 Once the boat was sailing steady, Deb turned her attention to us, and our champagne glasses. The Morning Mimosas seemed bottomless! They were nicely complemented by the breakfast treats. 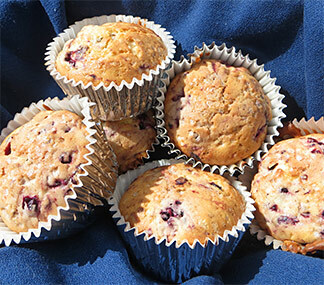 Deb had a big basket of made-that-morning berry muffins. 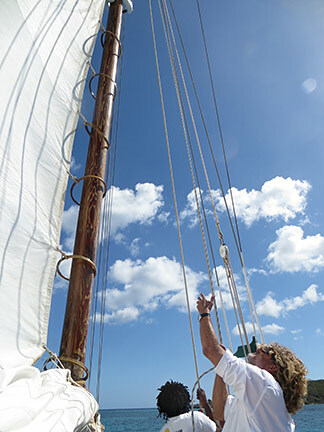 While you don't have to have ANY sailing experience to come on Tradition, if you do have some, or if you have an inclination to learn, and want to help out, you're more than welcome to. I took over the steering for a little while. Worried I was going to send the boat colliding with the shore, it wasn't long before I handed the controls over to Laurie. One of the other guests, though, did a far better job than I. He guided us almost the whole way to Prickly Pear! What felt like one very short hour later, Prickly Pear emerged in the distance. Prickly Pear is made up of two small islands. 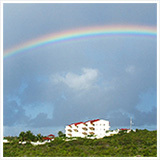 Its landscape is similar to Anguilla's. 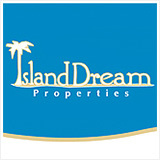 Rugged and arid, it is a small island, surrounded by crystal clear, blue seas. We were heading for the small channel between the two islands. Here, the sailing can get tricky. Laurie and Deb were all on guard as we made our way through the passage. 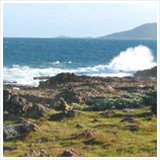 The bay is large, clear and protected by a long reef you can see in the distance. 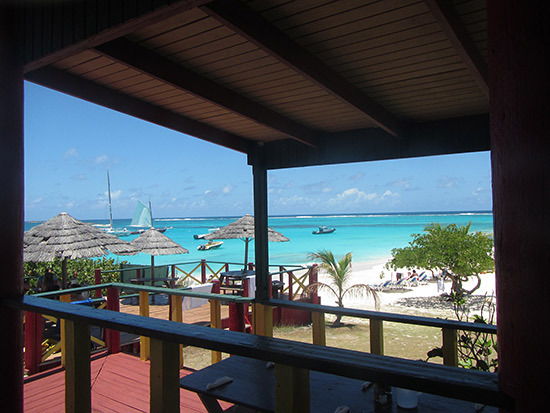 Inside lies this calm little body of water, perfect for snorkeling, swimming and relaxing. Safe, it is ideal for families. 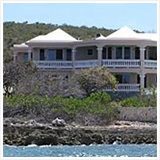 The island itself is only home to two buildings, Johnno's restaurant and Prickly Pear Restaurant. The rest of the island is inhabited by a large population of Brown Boobies, and that's about it! I really couldn't get enough of the tranquil seas. 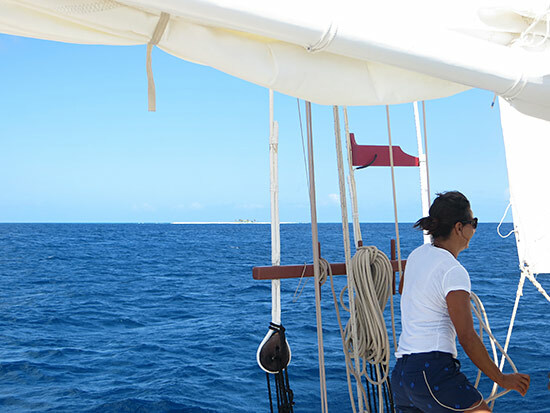 As Laurie and Deb put Tradition on a mooring, I gazed at the pristine island in the distance. 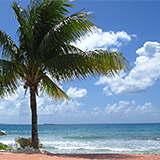 Palm trees swaying, the white, sandy beach looked so inviting. The options for lunch were fish, ribs, chicken, crayfish or lobster. We all went with fish, a fresh mahi mahi. After setting up in Prickly Pear, the afternoon was ours! "What do you feel like doing?" Deb asked. They have floaties, noodles, snorkel equipment, anything. 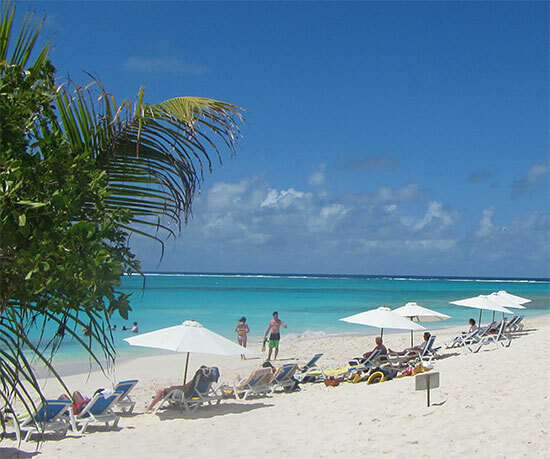 Whether you want to go for a swim, seek out pretty fish with snorkeling gear or go ashore and explore the island, you can do it all! The cooler was also packed with lots of drinks. We started there. With a cool glass of wine in hand, we decided to hang out on the boat and enjoy the rhythm of the sea before heading to shore for lunch. We chatted with Laurie and Deb. With so many adventures in their past, swapping stories with them is always fun and something I look forward to every time we meet. 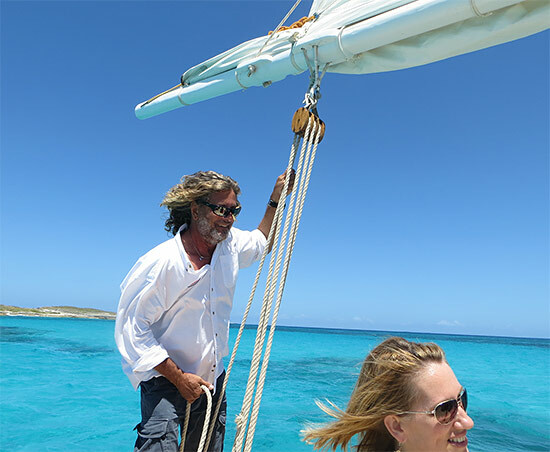 Given Anguilla's reputation as a five-star island, this is exactly how a sailing charter in Anguilla should be. Settled on a perch overlooking the beach and the clear sea, I left my things at the table and headed down the beach for a quick dip. With color like that, how could I resist jumping in? 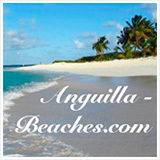 It's easily one of the most spectacular spots in Anguilla's waters. Upon returning to the table, Deb brought over our lunches. The mahi mahi was simply grilled, topped with a lemon wedge and pepper. 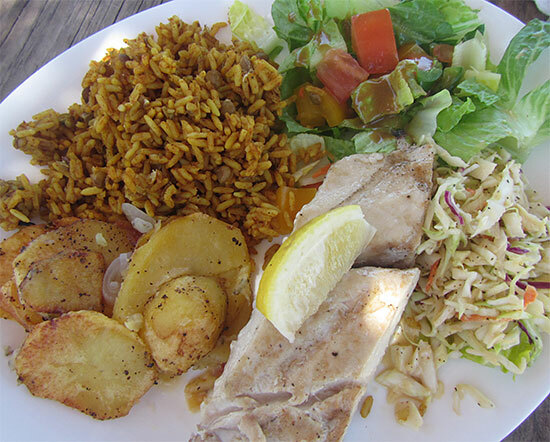 A fresh side salad, coleslaw, rice and peas, and grilled potatoes with onions were the sides. Very tasty and filling for the rest of the afternoon! 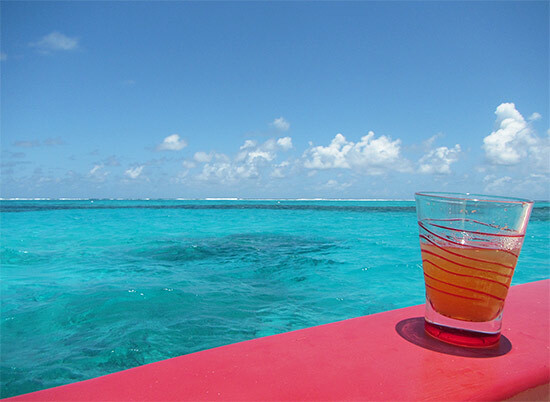 Sitting back with a gentle breeze blowing, the clear clear turquoise below, and crashing waves along the outer reefs, drink in hand, it was a setting fit for a commercial. Later in the afternoon it was time to return to Sandy Ground. It had been a blissful afternoon at sea with cool hosts who are ready to please, without ever being ingratiating. Down to earth and real, there are few experiences that rank as high as an afternoon with Laurie and Deb on Tradition! 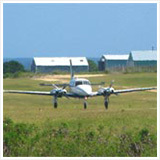 Tradition offers a variety of charters. 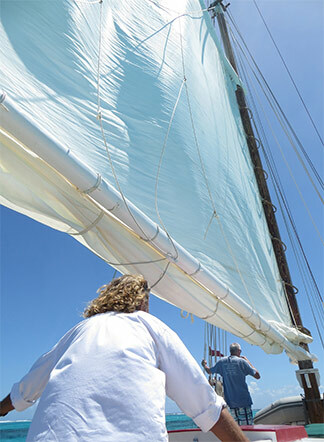 From lunch cruises (price includes snacks, drinks and lunch), to sunset sails (includes champagne cocktails and hors d'oeuvres), to wedding charters, to custom private charters (during the day or at moonlight), they do it all, and with class and grace.